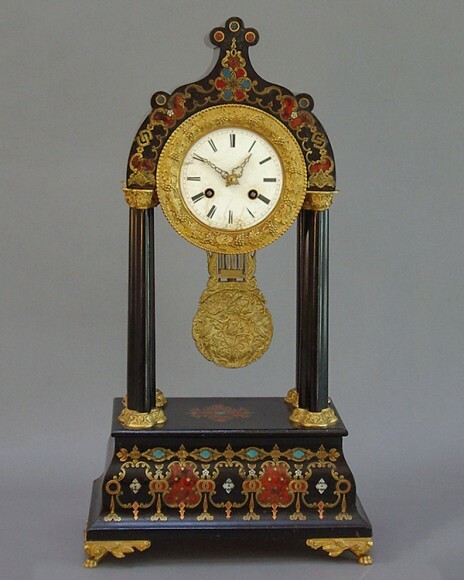 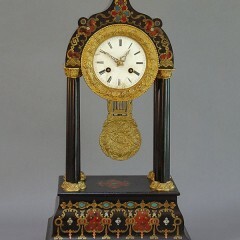 Black enameled mantel clock decorated in the manner of Boulle with polychrome enamels and inlay of mother of pearl. 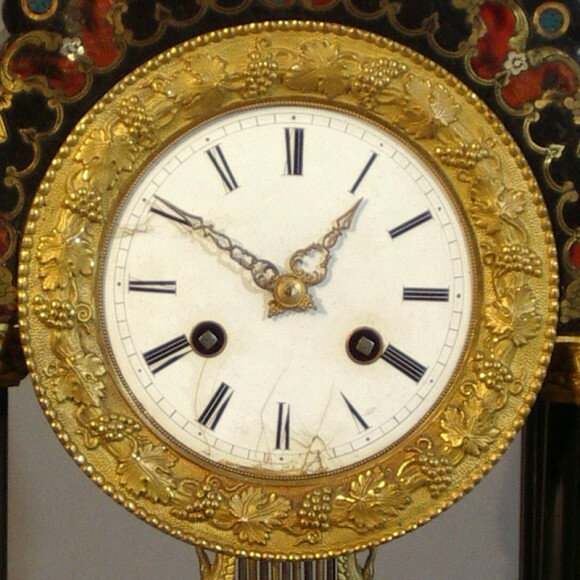 Gilt bronze mountings and enamel dial. France, 19th century.